These are our Friends and Partners who work with us to develop Judo across Northern Ireland for the benefit of everyone. If you want to help us develop Judo either through sponsorship or a partnership deal, we’d love to have a chat with you! You can click here to find out more. 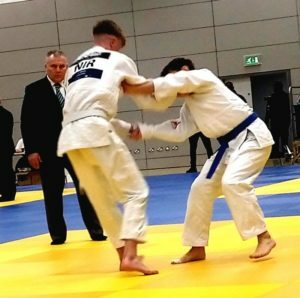 We’re proud to have City of Derry Airport as our principal sponsor for the NI Judo Open in April 2019. The airport is situated perfectly for the Foyle Arena (less than 10 minutes drive) where the event is held and it is served from Scotland, Liverpool, London and beyond! Kukri are the NIJF apparel suppliers and offer everything from bobble hats to base layers! The clothing can be used for training and leisurewear and we have the same range as the Ulster Rugby and other elite sporting teams. Garments come designed with the Japanese Kanji for Judo and also the NI Judo Federation logo. Click here to see our web shop. Cimac are our dedicated suppliers for Judo suits, training and protective equipment. Exclusive to the NIJF You will save 15% on the standard prices of all equipment on their site (excludes discounted items and postage). Simply use the code NIJF15 on checking out and your discount will be applied, whether it’s a Gi, belt or boxing gloves! The Maldron Hotel is our dedicated venue for competitors, coaches and supporters coming to compete in the NI Open 2019. The Maldron have kindly offered everyone associated with the competition a VIP dining and drinks offer of a 15% saving on food and beverages when staying with them for the competition in April. Situated in the heart of the North Antrim countryside, Glenballyeamon Eggs are sponsoring the NIJF to help us develop Judo for all. 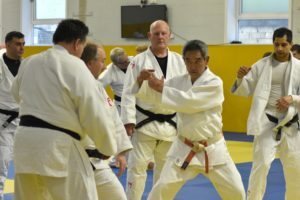 They are award winning, RSPCA accredited and free range so with the well-being of the animals taken care of, they wanted to help look after the people of Northern Ireland by getting them active and chose Judo to do it! Please pick up a box when you see them and you can find out more about province wide delivery by clicking here. Visit Derry will be helping us with the NI Open and NI Closed in 2019 by providing their wealth of local knowledge and contacts in order for the visitors and competitors to benefit and enhance their time at the events if they choose to do so! Take a look at their website by clicking here and see what is on offer when you compete in February or April and make your next competition the one to remember! Volunteer Now is the lead organisation which works to promote, develop and support volunteering across Northern Ireland. Their work enhances recognition for the contribution volunteers make, provides access to opportunities, encourages people to volunteer and provides information and support to volunteer involving organisations on volunteer management and safeguarding vulnerable groups.